All our products are Custom Made! 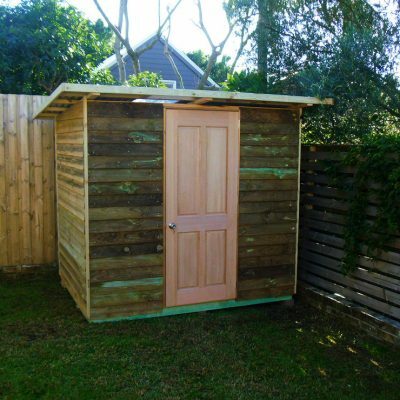 Wills Garden Sheds can be customised with any of the following accessories to suit your budget, whilst creating that perfect garden sheds you have always wanted. Below are the quality products used in our product range, each one researched and chosen to specifically survive the most demanding of users, pets and children as well as the harsh Australian climate. 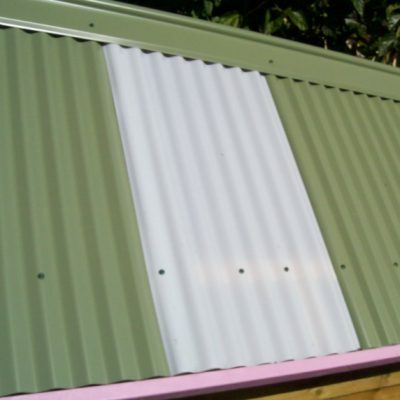 All shed roofs are constructed with Colorbond® which unlike cheap metal shed roofs or imitation roof tiles don’t deteriorate, or leak. One Solarsmart Suntuf polycarbonate skylight is included in every shed. Solarsmart Skylights are hailproof, have 45% less heat transfer than standard clear skylights and are 99% UV resistant. The new and safe type of treated timber, ACQ is non-imported, arsenic free, naturally treated so it is child and environmentally friendly and gauranteed to last for over 40 years even when not painted or stained! Hardwood Four-panel Doors with hardwood jamb can be added for $100, although it is recommended to stain within a month. 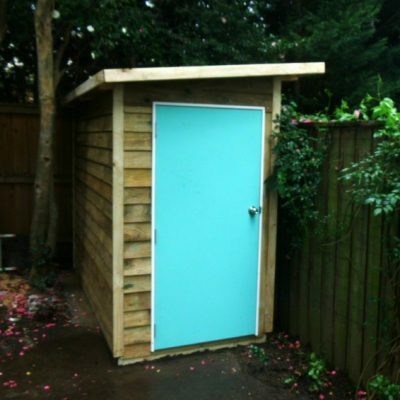 All ground level garden sheds include a weatherproof solid treated pine floor frame with a moisture barrier so there is no way your floor can rot and there is no need for a concrete slab. Sitting on top of this is the yellow-tongue flooring which is both water resistant and durable. Shed flooring can also sit on unlevel or uneven ground, dirt or grass without compromising the stability of the shed. 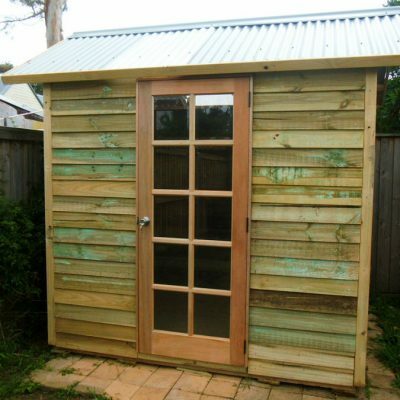 Shed trimming and corner stops come in ACQ treated pine with to give your shed that neat finished appearance. Staining the cladding with 2 x coats of a high quality, non toxic water-based stain will preserve not only the life of the wood, but also the appearance, as any type of timber (treated OR hardwood) will go grey within two years. With the use of Resene’s Woodsman Decking stain your shed will look just like the day you got it for years to come. Alternatively a 4 litre tin of stain can be purchased from Wills Cubbies for $90 as a DIY project and is guaranteed to last much longer than your standard stain.